The biggest selling putter in the world. The White Hot’s patented insert gives golfers increased sensitivity and superior distance control. Unique and patented 2-Ball alignment design to help visualise a line straight to the target. Line up the discs with your ball, aim at the hole - and fire! Club arrived 2 days after order confirmation, well packaged and secure. Putter was in better condition than I expected from the photos. Very impressed with golf bidder and will use again. 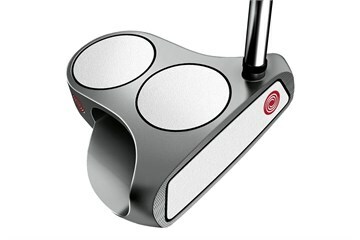 Having wanted a change of putter having lost confidence I decided to purchase the Odyssey White Hot 2 Ball putter. Having played just one round with it I feel much more comfortable. Looking forward now to not missing those short putts that were giving me 'nightmares'! Had the 2 ball putter years ago when i first started, really glad i purchased another one getting back into it, was rated a 7 but well worthy of an 8 will be coming back to golfbidder. Only played two rounds with the new 2-ball but significantly adds confidence for those must putt 5-10ft putts.